This recipe is originally from Allrecipes.com, but over the years I’ve changed it up quite a bit. The original cookies were good, but they spread too much and were kind of flat. The revised version is below. As far as oatmeal chocolate chip cookies go, these are pretty good. However, I think my favorites are Barbara Bush’s Chocolate Chip Cookies. 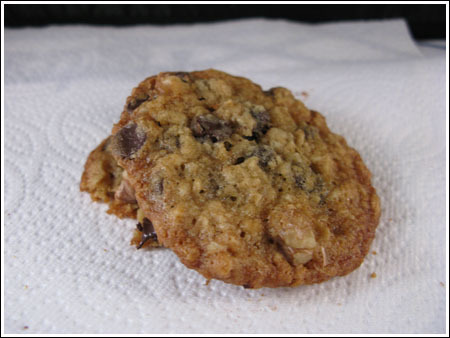 A very buttery oatmeal chocolate chip cookie. Using an electric mixer, beat the softened butter, brown sugar, and sugar until creamy. Beat in eggs one at a time, then beat in the vanilla, baking soda and salt. With mixer on lowest speed (or by hand), stir in the flour until blended, then stir in the oats and chips. Using a small cookie scoop (or rounded tablespoon), scoop out balls of dough and arrange on parchment lined or ungreased baking sheets spacing 2 inches apart. Gwen, thanks for catching that. I should have just linked to the recipe rather than try to re-type it and add metric. The cookies should have 1 1/4 cups flour. Oh, upon reading the original recipe it only calls for 1 1/4 cups of flour. I think that might be the issue. Hey! I tried this recipe but the cookies didn’t spread, they just stayed balls. I wasn’t extremely perfect with the measurements since I am at my friend’s house and they do not have measuring spoons, but I think I stayed very close to the recipe. Help please? 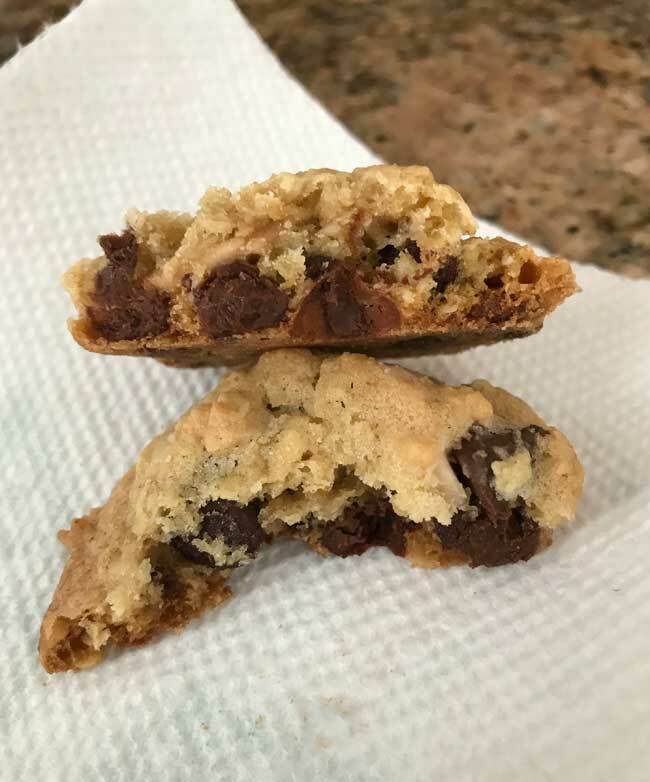 You’ve really got the versatility going on with your oatmeal chocolate chip 🙂 I’m usually a chewy cookie girl, but thin and buttery has its place 🙂 Plus, these cookies look delicious!